GOTHENBURG, Sweden -- The pipefish, which is related to the seahorse, has an unusual way of organising childcare. In this fish species it is the father who takes care of the eggs, which he receives from one or more females and then looks after in a brood pouch on the tail, where a kind of male equivalent of the placenta provides the embryos with oxygen and nutrients. 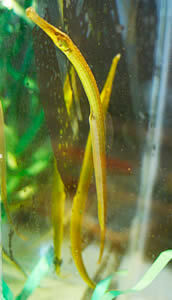 But the pipefish is not as caring as it might seem to be. New research is shedding light on why some embryos disappear during the brooding process. The disappearing embryos have long been a mystery to research scientists, who have speculated that other embryos may possibly absorb them. Now Gry Sagebakken and her colleagues have discovered that it is not a case of sibling cannibalism, but of filial cannibalism. In their study published in the scientific journal Proceedings of the Royal Society, the doctoral student and her research colleagues at the Department of Zoology of the University of Gothenburg have shown that the father pipefish does not just use his "placenta" to provide nutrients - he also uses it to draw nutrients from his own children. The result is that the embryos quite simply disappear. Filial cannibalism in the pipefish was discovered in an experiment in which the research scientists labelled the females' eggs with radioactive nutrients. The radioactively labelled eggs could then be tracked using special instruments which registered how the nutrients moved from the embryos into the brood pouch and furthermore into the body of the male pipefish. "The male has about 100 embryos in its brood pouch, and anything from zero to all the eggs may be absorbed. 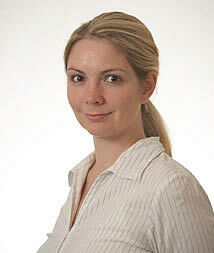 In this way the fathers are able to use their children to improve their own well-being," says Sagebakken. The article Brooding fathers, not siblings, take up nutrients from embryos is published in Proceedings of the Royal Society on Wednesday 25 November.